Fellow Dandy and Brother-in-Law Mr. Girard aka “Big Ron” sent me a pic the other day of the bow tie I made him for Christmas. 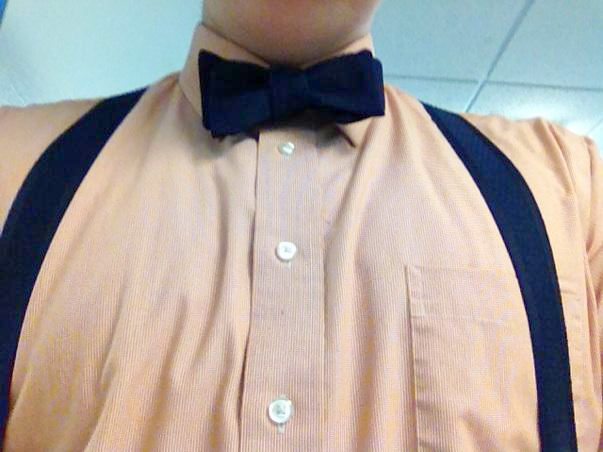 A teacher in Albany, he said everyone at school loves his bow tie. Well done with the matching suspenders, sir!